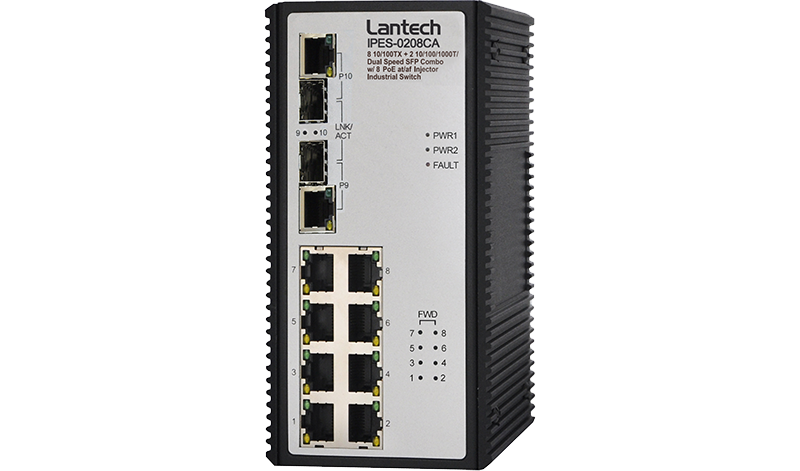 The Lantech IPES-0208CA is an 8 10/100BaseTX + 2 10/100/1000T/Dual Speed SFP Combo industrial switch w/8 booster POE Injectors. The SFP connection is suitable with 100M and 1000M Dual Speed. Equipped with DC 12~48V redundant input power, the Lantech IPES-0208CA-12V is able to boost input voltage from 12V to 48V then feed each PoE port up to 15.4Watts/30Watts with total PoE power budget 80W at 12V, 120W at 24V input or 240W at 48V input. It also supports relay contact to connect with alarm system in case of power or port failure. Lantech IPES-0208CA is designed to meet the demands of vehicle and industrial environments, comes packaged in a robust IP30 housing and has been tested extensively to meet Industrial EMI and EMC standards. Rigorous mechanical testing has also been undertaken to comply with free fall, shock and vibration stability test requirements, which ensure long term reliability in critical industrial environments. 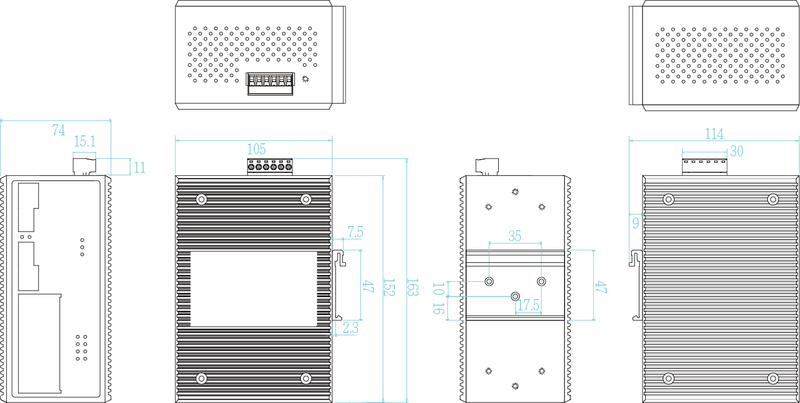 It is the most suitable PoE switch for bus, carriage, other vehicles and industrial areas where the power source is limited with 12V or 24V but has demand of surveillance or VoIP applications. The switch also supports ISO-7637 Pulse5 that protects switch from being damaged by high voltage that could be found at vehicle cranky start. RJ-45 port # 1~# 8 support IEEE 802.3af/at End-point, Alternative A mode. Per port provides 15.4W/30W ability. Positive (VCC+): RJ-45 pin 1,2. Negative (VCC-): RJ-45 pin 3,6. Provides one relay output for port breakdown, power fail and alarm.